Wouldn’t it be nice to have your own errand runner? Busy lifestyles and the increasing number of baby boomers have also seen the increase in the demand in hiring an errand runner. Home-based and smaller business, clinics, and even shops are also looking for reliable errand running services who can assist them with simple errands like pick-ups and deliveries. Just a couple of errands removed from your plate will save you precious hours (and frustration) in accomplishing them. Just as the name suggests, an errand runner run errands for people either because they have too much work to do or cannot do so themselves. Typically, errand running jobs often involve everyday chores like picking up or delivering packages, doing the groceries, walking the dog, etc. Well, the simplest reason is you need to. If you are a person who has a busy lifestyle, you would not want your weekends or time outside the office running errands. Doing so would only leave you tired–and stressed. Hiring errand runners to do the tasks that you can afford to delegate would save you the time and the headache of having to deal with long lines in the groceries or the post office. Also, if you have a family member who is already in his senior age, hiring an errand runner for him to do his groceries or simply taking out his trash would be a great help. Your errand runner can regularly check your mail or deliveries to save you the time from taking the trip to the post office. He or she can take care of your pets if you cannot fit it in your schedule. You can have your errand runner help you prepare for your business or social events. Your errand runner order food for you and deliver it wherever you are. You can ask your errand runner to wait in line and purchase those pair of shoes or latest gadget that you have been waiting for. Depending on your need, you can hire errand runners to do most chores for you. At a small cost of hiring them per hour, you can get your errands done while letting you focus on your work or giving yourself time to relax. The most popular type of errand running is for seniors. Why seniors? Simply put, they are less able to run around to do their errands because of their age or illness, and often prefer to spend their time at home or on leisurely walks in the park. Businesses and local shops, especially smaller ones, are always on the lookout for errand runners who can help with the errands needed to be done in the office. Most individuals who have a hectic schedule and have to juggle their time with work and family obligations, seek help from errand runners who can help them with smaller chores. Doing so would enable them to focus on their work or themselves after work. Having a packaged delivered right at your doorstep is fine since you will only need to be present at home to properly receive it. But what if the package is sent to your local post office? Then you would have to head over, wait in line, and wait for your package to be sorted out of all the other packages. Most people have difficulties in finding time to send and receive packages which need to be picked-up or delivered from the post office or mailing service. If you are too busy to pick up or deliver your mail, you can hire a mail errand service to do it for you. For most people who have to be at work at a certain time, waiting at home for the plumber, cable guy, or repairmen is not an option. However, this should not block you from getting the services you need. as such, hiring a waiting service can help you a great deal. For example, when you hire a repairman to arrive at a certain time, you can have your waiting service arrive before you leave and have him wait for the repairman to arrive and stay there until he leaves. For people who cannot afford to miss a day–or even a few hours–off of work, this is a great alternative. One of the hottest forms of errand running services today is the professional line sitters. With the way companies and brands provide special offers and discounts to the people who are first in line to buy their products, it is no wonder that people wait in line for hours (some even camp out!) before a store opens. Professional line sitters will wait in line for you to get anything you want, especially if you do not have the time to do so yourself. Professional line sitters charge an average of $20-$25 for the first hour and an additional $10 for the succeeding hours. What are the Best Errand Running Services? Magic is an on-demand, text-based personal assistant which finds and manages third party services on your behalf. With Magic, you can take care of nearly any errand anytime of the day, wherever you are. Without any app download or complicated sign-up process, Magic will relentlessly find ways to have even your most complicated personal and business related tasks accomplished over SMS using natural language. Care.com specializes in providing senior care, child care, and pet care. Their site will let you view thousands of profiles of individuals who provide care services where you can choose what type of care services you need. You can choose whether you want to hire a caregiver on a regular basis or simply have them run errands for you. After interviewing and hiring the caregiver of your choice, your payments after the services are done are made through the care.com payments center. 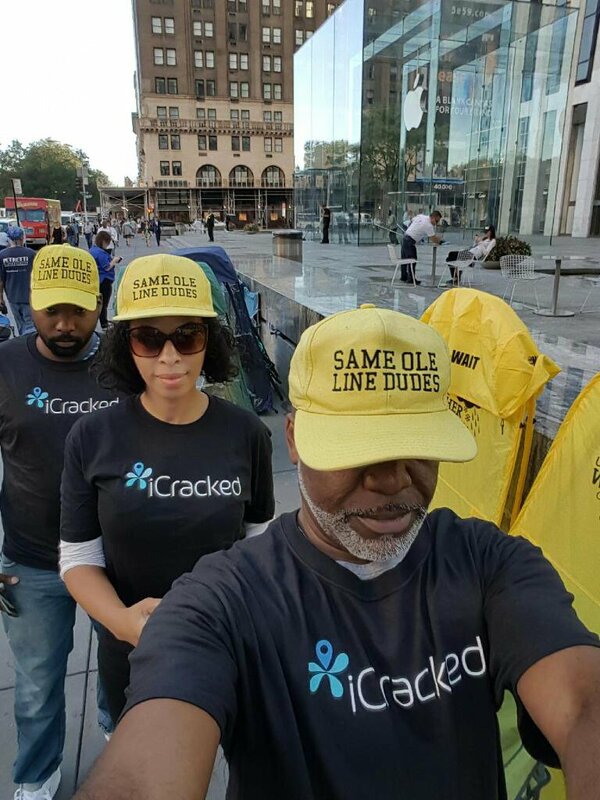 For people residing in New York, hiring this professional line seating service is a great choice especially if you do not have time to wait in line to get those tickets or pair of Air Jordans that you have been waiting for. Same Ole Line Dudes (SOLD) would wait in line for you no matter how many hours it takes and have them purchase then deliver a product to you. SOLD charges $25 for the first hour and additional $10 for every 30 minutes added to the waiting time. You can also check out apps like Postmates and Favor that can help you in running your errands. know more about these apps in this article. So, if you need your errands done for you immediately, you should definitely hire an errand runner. You can have your chores and tasks done for you, minus the stress and hassle. Your errand runner is your second you who will efficiently carry out the things you need to do, giving you time for yourself and other things that matter.